Big Air Trampoline Park®, a leading trampoline park franchisor in the United States, is pleased to announce two senior leadership appointments in a move to continue and further accelerate its growth. Tyler Neill has joined the corporate team as Director of Marketing Strategy, and Erin Davis has joined the team as Director of Park Operations, bolstering the support structures of the burgeoning system. Tyler brings over six years of experience with the company to his new role. Throughout his tenure at Big Air, he has worked in numerous roles within the marketing function, most recently as Marketing Manager for Big Air’s high-performing corporate units in Orange County, California. In that role, he led consistent sales growth that resulted in industry-leading per-unit revenue. In his new role, Tyler will continue his focus on data-driven marketing to drive growth and shape product/experience development. Support initiatives include a marketing automation system, cloud-based digital signage solution, and social media support program, all fully available to Big Air franchisees. Erin is in her sixth year at Big Air and most recently served as General Manager of Big Air Buena Park. In that role, Erin developed systems and standards that increased profitability substantially, with a primary focus on minimizing product and labor costs. In her new role, Erin will oversee and further strengthen Big Air University, Big Air’s training program for incoming franchisees. In addition, Erin will utilize her strong park operations experience to provide ongoing support to all Big Air operators through several means including one-on-one sessions and system-wide, topical training calls. Southern California-based Big Air Trampoline Park® is making leaps and bounds in the family entertainment industry. 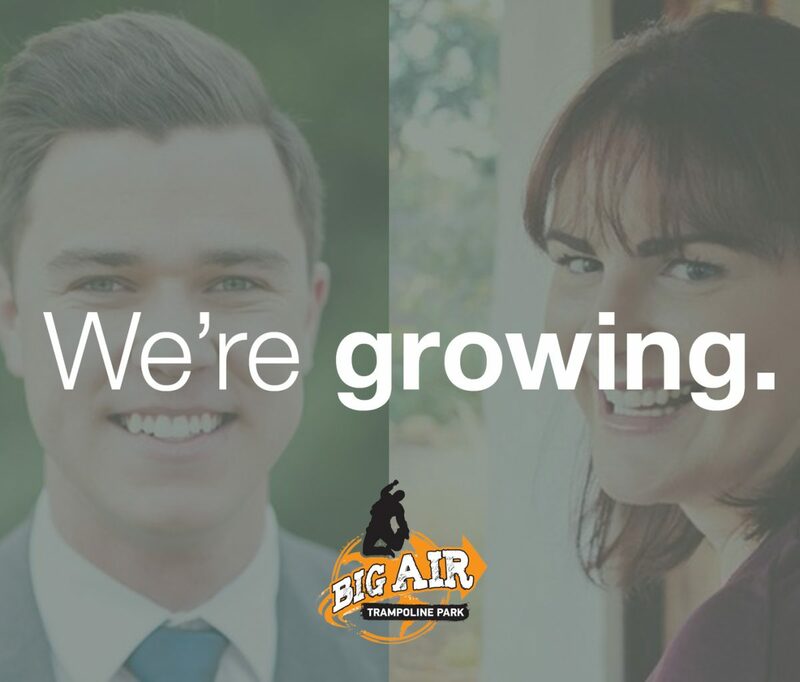 Founded in 2012, Big Air is led by an executive team with over 30 years of experience in the entertainment industry. With industry-first attractions like the trampoline laser maze and Battlebeam®, events like Toddler Time®, and an award-winning birthday party program, Big Air offers a brand experience that is second-to-none. For franchising opportunities, please contact Kevin Odekirk at kevin@bigairusa.com. © Big Air. All Rights Reserved.